Passionate gardeners A.C. and Penney Hubbard have seen their garden praised and featured in the media and on national and regional garden tours. 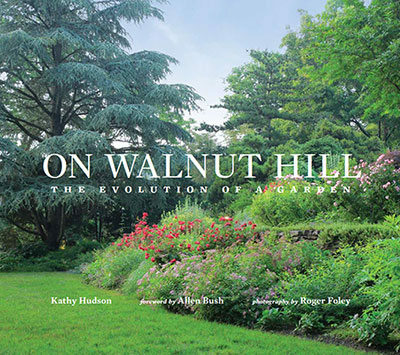 And now they’ve collaborated with garden writer Kathy Hudson and award-winning photographer Roger Foley to create On Walnut Hill, a gorgeous book about the garden. Plus, GardenRant’s own Allen Bush wrote the foreward and it’s as lovely as the garden itself (and available online). Allen wrote this tribute to Kurt Bluemel soon after his death in 2014. Just leave a comment here before end of business Friday November 13 and a winner will be chosen at random. The book and the garden look inspiring. This looks like a lovely book. Perhaps it contains ideas I could use to create my new garden. Yes, the book has a section on Penney Hubbard’s garden advice and favorite tools, lessons learned over 46 years on Walnut Hill. 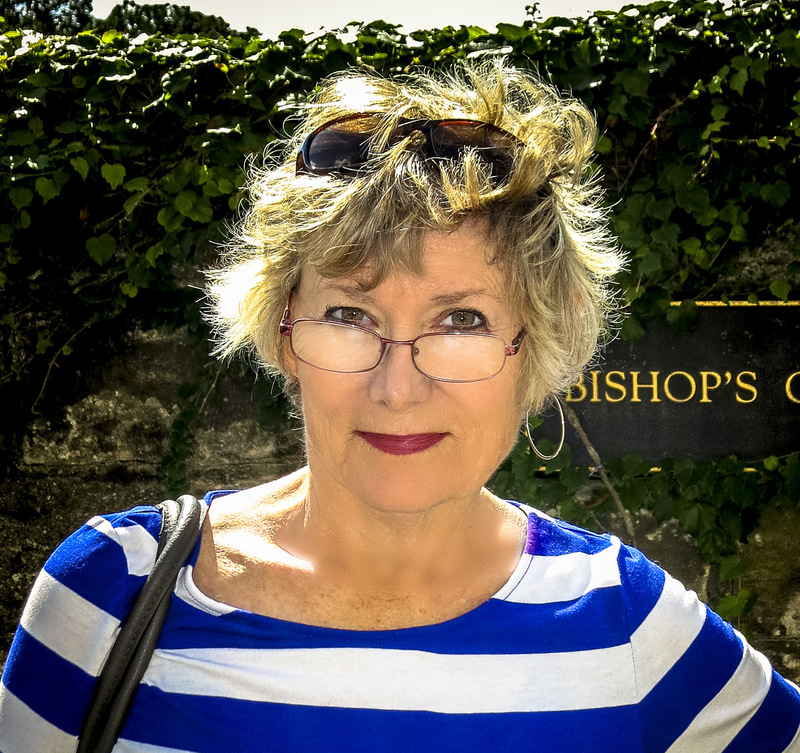 Kathy Hudson is a wonderful writer and a great person, I would love to win this book! Oh I hope I win this looks like a wonderful book! Sign me up! Looks like a great book. This book looks great and would be a great addition to my collection. Just what I need for inspiration! I am two years in creating my garden. Would love to win this beautiful book. This book looks like perfect winter reading material. We hope it will be a good winter reading. Roger Foley’s photographs of the Hubbards’ gardne in winter are stunning. I’d love to win such a beautiful book! What a beautiful book. It is exciting what persevering and inspired gardeners can do with 2 acres. Thanks you! Bluemel + Bush + Walnut Hill: I’m in! I want to find out if they have a bunch of black walnut trees like I do. I can’t wait to enjoy this book! This looks like a beautiful book. I’m hoping to find inspiration for my own garden. Because funds are limited and I can’t install an “instant garden” around my own home, I’m always inspired by people who create their gardens over time. 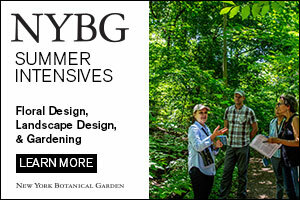 Would love to read about how the Hubbards built their garden—and would love to visit someday! This is a beautiful book about a unique place. I am not a gardener and still read it all cover to cover. I imagine I will do so again. I don’t need to win it as I already have a copy and plan to give them as gifts as well. But I’ll take another copy any time! It is important to document the makings and evolution of some of these wonderful gardens that have stood the test of time. WE have become overly used to “instant gardens” with the current methods of cultivation and popular plants of the day. This will be a timely reminder to those embarking on creating a garden. This book. Oh, this book. I’ve waited so long for this authentic documentation of the love affair that the Hubbards have had with this land and their designer, Kurt Bluemel, that they counted on to fully develop the physical expression of their emotional bond with it. How perfect to have an equally passionate plantsman to write the foreword. This has to be the longest developing collaboration of artists in the modern history of horticulture. Thank you for bringing attention to this body of work. We all win now that it’s in print. I’d love to add it to my library, and read it on a cold winter’s day. Hmm. Hackberry trees are desirable? I love to read about passionate gardeners and the beauty they create. A garden brings love, peace, happiness….and frustration! But oh how wonderful when we see a success. Every time I am in a garden I learn something new or see a great surprise. I can glean inspiration, if not particular ideas, from gardens very different from my own in rural western Maryland, and even from gardens run on a very different budget—as Walnut Hill certainly is. I would enjoy the book. So excited about this book written by a former classmate at RPCS. 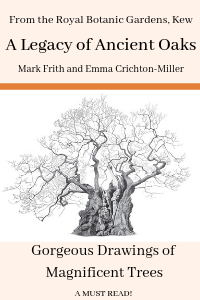 Please do include me in the raffle for this beautiful book. Thanks for bringing it to my attention…just the thing to brighten a winter’s day! I would love this book to enjoy this winter. A great book and a drawing on Friday the 13! Who could ask for more? 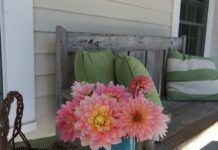 Can’t wait until I can snuggle up in my favorite reading chair this winter and dream of the Spring gardening season. The video is an enticing prelude to the book. The garden is gorgeous. What a great transformation. This looks like the kind of book that I could read over and over or at least refer to often. Such a terrific book, far beyond “just pretty pictures” (although there are plenty of great ones”) but very thoughtfully written and full of beautiful moments. A real Baltimore treasure! 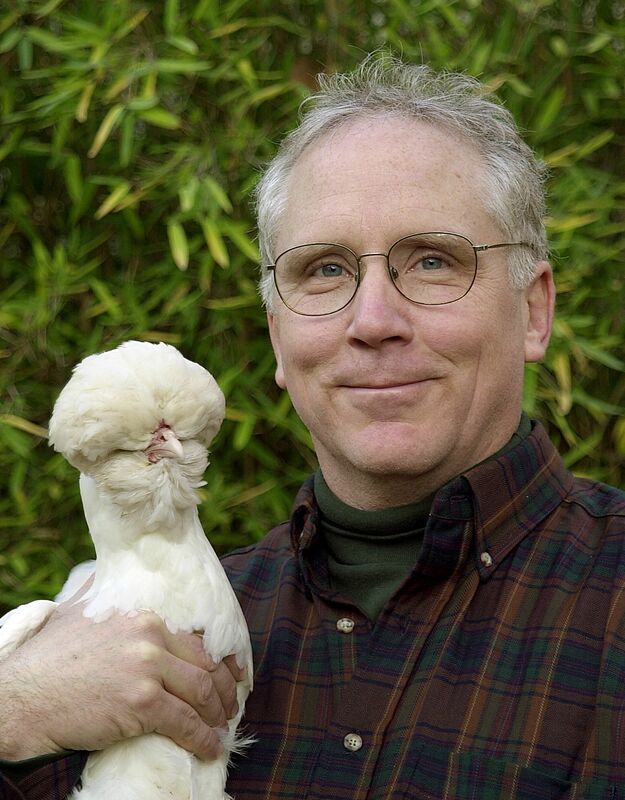 I too have nurtured a garden for nearly 40 years and it has grown up and rewarded me with peace and pleasure each time I stroll through it. I’d love to read this book as I garden dream my way through winter. Put my name in the hat! 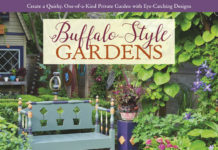 I’d love to win this book, and to visit the garden. This book sounds delightful. I’ve been working on my garden for only 3 years, so I can only imagine the love the couple put into theirs over 40 years. A great testament to their love of gardening and each other. Looks like a great book for a garden landscaping education. Oh, thank you so much for the chance to win such a lovely book. Gardens, and books are two of my favorite things. needed for winter reading during the dark season and gardening inspiration! Thanks! I sure would love to win this book. I enjoyed reading this post. Looks lovely. Count me into the contest. This looks like a wonderful book to curl up with during the winter months. What a lovely garden! I’m looking forward to reading the book! I love to understand the thought processes behind gardens. What pictures did the gardener have in her head? How did she layer plants ? Did she have a big picture? or work on one piece at a time? Looks like great winter reading. Love the idea of a garden built over time. A good reminder for an instant gratification world. When I lived in Baltimore I saw this garden in an article and it looks beautiful. I imagine the book will be lovely too! 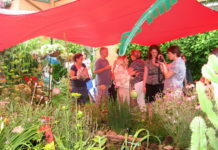 What a delightful chance to share their love of place through their garden! I’m recommending this to my botany book club at the Botanical Garden here, and suggesting the librarian add this to the collection. Thanks for the chance to obtain a copy first! Looks like a fascinating book — I’ll check it out. I need all the help I can get. Hope I win. Oh, how I wish, I had a green thumb! If I win this book, I promise to take good care of it. Looks like a great winter’s read. Love to have this good to keep me company over my winter here in zone 6a Ohio. Photography exhibit and lecture by Roger Foley at Cylburn Arboretum was very informative!